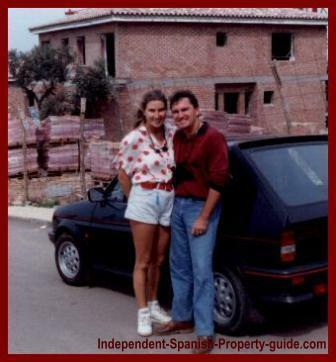 So, you are thinking of buying property in Spain? A good decision, more than a million Brits have already done so. Me included! When I came to Spain (when I was 18), on my first working holiday, I could never have imagined that I would end up marrying a Spanish man and buying a house in this beautiful country! Buying property in Spain is an important decision, involving lots of your hard earned cash, or most of your savings. That is why you should thoroughly inform yourself well before signing or paying anything. Diverse landscapes with magnificent mountains, long, clean beaches, great weather, cost of living, friendly local people who still respect traditional family values, and the closeness to my family in Great Britain, attracted me! 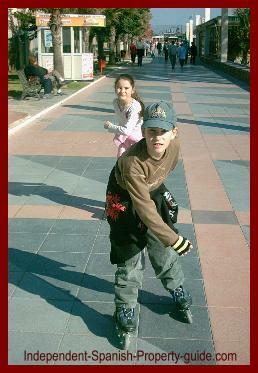 Where else can I go skating with my children in December? Investors, tourists, families who want to bring up their children here and retired couples wanting to enjoy the mild winter months are all becomed by Spain's outstanding natural beauty and way of life. If you click on the logo below, you can read the electronical version! So, if you are considering getting in on the action and buying a property in Spain, then use our insider knowledge and experience of Spain and its property market to make the right decisions. In Spain there are many new building projects and urbanisations being started up, and many new buyers, foreigners and Spaniards, are entering the market. But, buying property in Spain can be a risky business. Do not take unnecessary risks and only deal with trusted professionals.